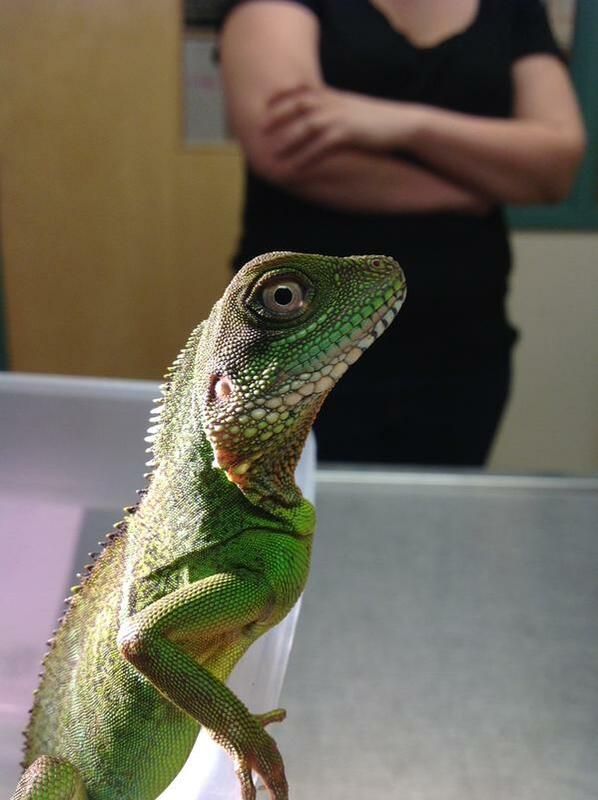 This is a Chinese Water Dragon that came into Odd Pet Vet recently. He came in for physical exam and check-up, and he’s in excellent health. Although he’s still quite young and small, by the time he’s older he could grow to almost a meter in length from head to tail 🙂 Odd Pet Vet is our exotic pet veterinary service that is open seven days a week, and all proceeds go towards the work of New England Wildlife Center.